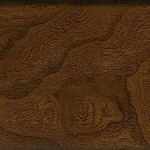 Armstrong LUXE plank luxury vinyl is a floor that stuns! If you select this floor for your project be prepared to enjoy phenomenally real wood and stone looks that go along with a floor that can stand up to high traffic and moisture. Top that off with installation that is easy and quick to do and you may just have the only luxury vinyl floor you will ever need. LUXE Plank is a plank flooring product that will bring the natural beauty of hardwood or stone to the rooms and spaces of your home. And with its waterproof qualities you can take that to baths and basements too! Installation is made easy for LUXE plank with its FasTak installation. With FasTak the planks attach to each other with no special tools or equipment. The collections that benefit from this installation system have designer fashion visual patterns in a wide array of colors. The rustic timber and natural looks are inspired with worn grains, saw marks and knots. With Luxe Plank flooring, even moisture-prone rooms can have the high-end wood looks you love. American Carpet Wholesalers carries a large selection of the Armstrong LUXE line of luxury vinyl plank and the pricing is very competitive. Give the flooring experts at American Carpet Wholesalers of Georgia a call. They can ensure you get the best deals when you call. The number to call is 800-548-2706..
Click here for more reviews of the Vinyl Plank and Tile Products available at American Carpet Wholesalers or Click here to explore other styles of flooring. Congoleum DuraCeramic Options? Not Exactly! Let’s Review.